Let's be real: playing with toy blocks never stopped being fun. And now, you've got a new way to do it. 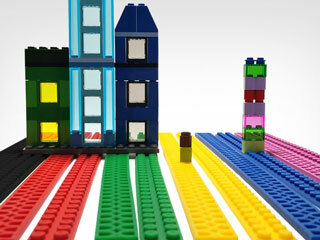 Get Toy Block Sets in black, blue, green, yellow, pink, or red for $24.99 at Escapist Deals. These flexible toy block tapes come in two-meter rolls and you can unroll and get creative with (don't worry, you can remove and reuse them easily). Build fun things wherever you are - may we suggest your office desk - and even combine them with any blocks from most major toy block companies. Get ready to bring back recess and grab the Toy Block Sets in black, blue, green, yellow, pink, or red for $24.99 at Escapist Deals.